What's the difference between recruiting and talent acquisition? Home » Blog » What’s the difference between recruiting and talent acquisition? What’s the difference between recruiting and talent acquisition? As the initial face of a company, hiring managers and independent recruiters are responsible for screening potential employees and making decisions based on crucial first impressions. It may seem like a simple process from an outside perspective, but there are several strategies these professionals can utilize to find a company’s next employee. While recruiting and talent acquisition may sound like similar approaches to hiring new employees, the two serve different purposes. Understanding both concepts can help human resource managers better determine which tactic is right for the company’s current hiring needs. What does recruitment mean in business? When there’s a job opening, companies find new employees through a recruitment process. Human resource professionals and hiring managers create job descriptions, and then promote them on their own websites as well as job search platforms like Indeed, Glassdoor, and LinkedIn. The next step is sifting through applications, selecting the ones worthy of phone screenings and then scheduling follow-up interviews with the most promising ones. Recruiting is simply about filling vacancies, usually following a relatively fast timeline. As such, it’s more of a short-term approach to hiring, especially when compared to the more strategic method of talent acquisition. What does talent acquisition mean? Rather than starting from scratch as soon as new positions open, talent acquisition is an ongoing strategy to find, attract, and onboard top professionals. The idea is to more effectively fill roles with employees who can meet company needs on day one and well into the future. Building this kind of recruitment strategy is especially useful when hiring candidates for specialized positions, which are often more difficult to fill. Considering employment branding: Provide candidates with a better understanding of the company’s products and services, as well as the organizational culture, reputation, and perks. Understanding candidate audiences: Define the best places to source the ideal applicants by understanding audiences on a deeper, more targeted level. 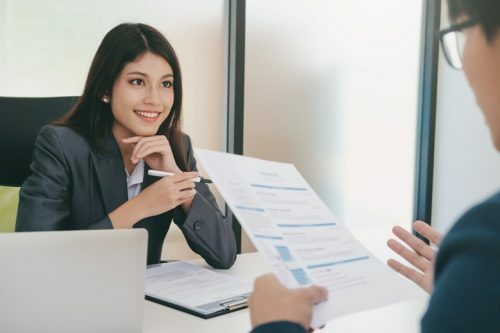 Enhancing candidate experiences: Ensure positive interview experiences, plus maintain relationships with past candidates for future opportunities. Focusing on diversity: Make sure to source candidates from varied backgrounds. Tracking key metrics: Analyze the process to continually improve the strategy and make better recruitment decisions. Ultimately, talent acquisition improves the quality of company hires. In most cases, many human resource experts believe there’s more value in talent acquisition than traditional recruitment because of its long-term and more targeted nature. For instance, talent acquisition often leads to better results for crucial leadership positions that require distinctive skills and experience. For the same reason, companies in niche markets also benefit from talent acquisition strategies. Plus, finding and hiring top-performing candidates isn’t a one-time task for any company. As businesses grow, they should be continually networking and scouting for the best talent in their fields. Introducing these high-quality employees to the team can enhance morale, productivity, and long-term outlooks. With that said, recruiting often becomes an element of talent acquisition through tasks like sourcing, screening, interviewing, evaluating, narrowing, and hiring. Talent acquisition ensures that there’s more thought behind the recruitment process so that finding, attracting, and reaching the right candidates becomes a more strategic and continuous process. The Society for Human Resource Management advised establishing recruitment objectives as the first step to shifting focus to long-term talent acquisition. Some of these goals may fall in line with company wide objectives, as high-performing employees are among the most important factors in reaching those goals. What type of individual is ideal? How does one reach those targeted individuals? When organized and ready to start sourcing talent, human resource managers should take advantage of social networks and industry-specific communities to begin connecting with potential candidates. With a long-term recruitment strategy in place, hiring becomes a much more straightforward and fruitful experience. The University of Alabama at Birmingham offers a 100-percent online Bachelor of Science in Human Resource Management degree program, which teaches students to think strategically about recruiting, hiring, training, and retention practices in the modern workplace. Understanding various HR concepts, including talent acquisition and recruiting, is a primary objective of the curriculum. Students examine how to make ethical decisions as leaders, especially in regards to motivation, job attitudes, diversity, and performance evaluations. This comprehensive course covers acquisitions, training, and development, as well as other managerial concepts including employee motivation, compensation of human resources, labor relations, industrial health and safety, and wage and salary administration. With a focus on hiring, placing, and developing in the workplace, this course covers recruitment and selection techniques. Coursework also covers the laws and regulations that affect employee selection and performance appraisal. Graduates from the program are equipped with the skills and knowledge to pursue a human resources and talent acquisition career path. This includes positions such as human resources recruiter, training and development manager, human resources manager, compensation and benefits manager, and labor relations specialist. To learn more about how an online Bachelor of Science in Human Resource Management degree can benefit your future, reach out to an enrollment advisor today.